Q: I find it difficult to address one partner’s emotional issues in the context of couples therapy without derailing work on the present relationship. What can you suggest? Even when the person did follow through on my suggestion, individual therapy often didn’t prove to be as helpful to the couple’s interactions as I’d hoped. In part, this is because therapy can be slow going, and it’s unrealistic to expect it to have an immediate positive effect on a relationship. But sometimes individual therapy actually seemed to have a negative impact on the couple’s relationship. Even the most systemically oriented of individual therapists is susceptible—and I include myself in this—to seeing relationship difficulties from their client’s point of view. Try as we might to maintain an interpersonal, systemic perspective, we often end up validating the person’s grievances and complaints about the partner. This, of course, can lead to a heightening of conflict—just the reverse of what we’d hoped for. Clearly, there are times when a person accepts the referral and it is helpful, especially when, with the client’s permission, the couples therapist and the individual therapist communicate with one another from time to time. But over time, I developed a mindset and methods that make the situation in couples therapy you describe a much less frequent occurrence. I learned not only how to help partners find ways to avoid the emotional land mines that can lead to deep ruptures in the relationship, but to provide each other with corrective emotional experiences that can heal old wounds. Perhaps when therapists are feeling stymied it’s because we’re taking too much of the burden of change onto ourselves. If we can help each partner be a better therapist for the other, all three of us can feel more helpful and effective. Recognizing patterns is a hallmark of couple therapy. Sometimes when the couple can say to themselves, Oh, here it is again, insight into the pattern may help them step back from the ways of responding that have typically escalated their conflict. But often awareness alone isn’t enough to overcome the strong reactions that each person has to specific emotional triggers. Nor is insight about one’s own insecurities and anxieties enough to stop them from flaring up. 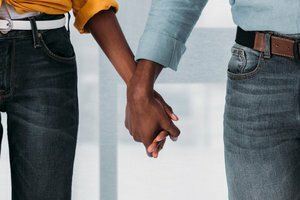 Instead, the therapist and the couple need to work together to come up with specific actions that each partner could do to minimize the impact of what I’ve come to think of as each partner’s “legacy” issues—the often unarticulated assumptions, hopes, dreams, fears, anxieties, and beliefs that we each carry into our relationships. There’s no off-the-shelf set of interventions that will work for couples dealing with abandonment issues, or for those dealing with fear of dependency, or for couples where one person dissociates when angry. So how do you collaboratively craft a personalized set of interventions that addresses the particularity of a couple’s difficulties? Paying attention to descriptions like these and asking for illustrative stories lays the groundwork for a conversation about what the genogram has illuminated about each partner’s sensitivities, longings, values, coping styles, assumptions about conflict, dependency, ways of resolving differences, and so forth. This deeper understanding of what makes the other tick then allows us to explore how these insights could be used to minimize conflict in the relationship. Here’s an example of how Kevin, Charlotte, and I translated that understanding into action. Kevin had a real problem with the list of “should dos” he carried around in his head, interfering with his ability to spend time relaxing with his family. Charlotte was upset that even when he was with them, he wasn’t fully present because he was preoccupied with the chores he wanted to get done. Additionally, Charlotte felt criticized and guilty for not pitching in. She’d often been called spoiled by her mother, and despite Kevin’s protestations that he could take care of the tasks on his own, she couldn’t enjoy her own free time when she knew that he was wrestling with repairs and projects. Because, in her mind, he was making her feel guilty, she became angry and unsympathetic to what she called his “moaning” about not being able to find the right screwdriver, or the cryptic installation instructions that came with the new closet rack. Kevin, in turn, was hurt that Charlotte wasn’t sympathetic to his stress. Together, we discussed ideas about ways to prevent this pattern that they knew all too well yet couldn’t resist getting caught in. We decided that a good step would be for Charlotte to try to support, rather than challenge, Kevin’s need to do these chores. Although we all agreed that his need to be productive was excessive, and reflected childhood feelings of unworthiness, this insight was unlikely to change the grip these feelings had on him. The new goal for Charlotte was to accept them and find ways to minimize their impact on the relationship. In the past, when Charlotte would question Kevin’s need to do a task, he’d respond by explaining why it was necessary. The unintended consequence was that the more he made the case for the necessity of the project, the less space he made for the part of himself that wanted to resist his own compulsiveness. If instead, Charlotte said something like “Okay, I know it will feel good to you to be productive,” he’d be more able to hear his own internal voice that questioned the need to do the task. And Kevin, now understanding the source of Charlotte’s guilt about not helping, knew he’d need to say something to address her internalized accusations of being spoiled. So rather than just telling her that he didn’t need her help, he could say, “You work hard all week and deserve to relax today.” The point here is that they’re each using their knowledge of the other’s sensitivities to address the problem, and they’re accepting the emotional baggage that they each carry from their past. Understandably, some partners might worry that this new goal of acceptance will lead the other person to just do more of what’s problematic. This is, of course, a legitimate concern, but it’s usually eased when the therapist can point out that partners can only be accepting if they feel confident that the other person is committed to working on the issue. This may mean seeking individual therapy, or it could simply mean practicing mindfulness techniques, reading self-help books, and generally making a concerted effort to examine what enables them to resist their internal pressures to engage in what’s problematic. Again, people don’t need to struggle with these issues entirely on their own. Although Kevin has a problem with being compulsive about tasks, Charlotte can help him by recognizing the times he’s able to resist his demanding inner voice. She can do this by using what I call the “language of becoming.” In other words, she could say something like, “I notice you’re becoming a little better at letting yourself relax.” Pointing out steps in the right direction is often a highly effective way for partners to help one another with their anxieties and emotional conflicts. And when they have a deep understanding of their legacy issues, and can provide each other with corrective emotional experiences, there’s even a potential over time to heal the wounds that preexisted the relationship. We know when we do individual therapy that the client’s relationship with us is often what’s most therapeutic. Problematic assumptions about relationships are not only talked about but enacted in the therapy, giving the therapist the chance to disconfirm the client’s negative expectations. With the help of the couples therapist, partners can give each other the same corrective emotional experience. Most couples are quite willing to give this a try if it’s framed as a chance to be emotionally generous and therapeutic to one’s partner. Ellen Wachtel, JD, PhD, is in private practice and gives workshops across the country and abroad. She’s the author of We Love Each Other But…, as well as a new book for therapists, The Heart of Couple Therapy: Knowing What to Do and How to Do It.